As you may know our first event is coming up...realllllyy soon! So we thought we would give you a little heads up and incite to show you who be there on the day. This way you could even have little plan of who you would like to chat to, or maybe show you a supplier that you hadn’t even thought about. 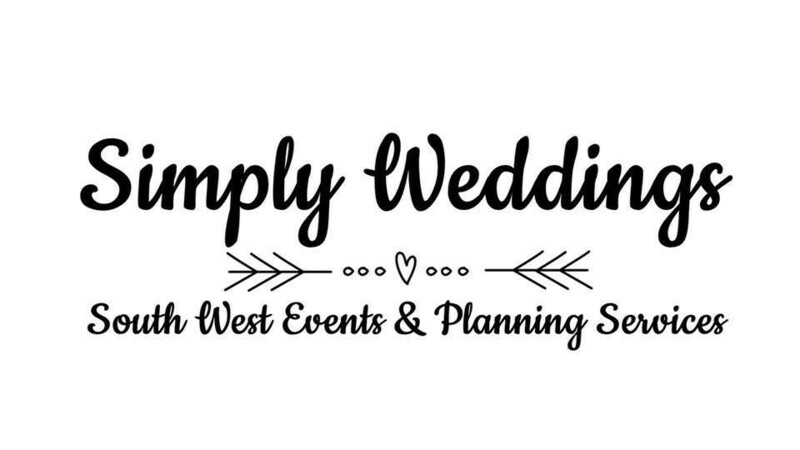 The theme for this event is Simply Weddings @ A Country Fayre, so to complement this amazing event we have handpicked suppliers who can give the services based around this theme. But do not worry, it won’t be all about hay bales and wellies, we promise to give variety at all our events so there will be a great mix, we wanted to show that even with elements of the traditional you can still make your special day very much to your own taste and personality. The fayre is taking place at one of St Ives most iconic landmarks. 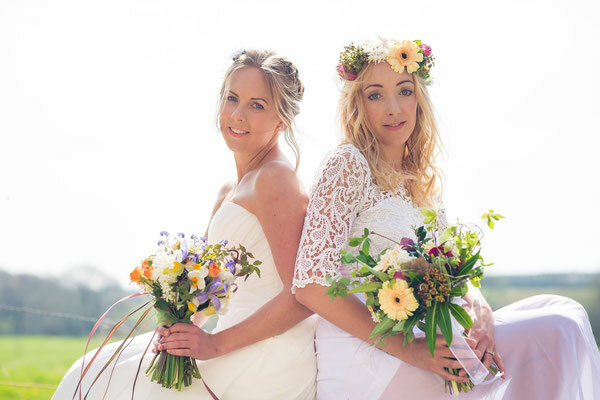 Set upon the top of Tregenna hill overlooking the amazing town, it’s the perfect spot for any occasion, but especially a wedding. Tregenna Castle Hotel has 80 comfortable rooms ranging from single rooms to two bedroom apartments. Each room has its own character and many have spectacular award winning views over the Atlantic Ocean and pretty St Ives below. 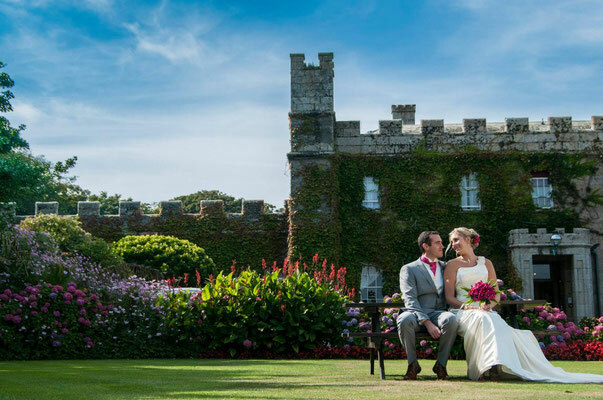 Tregenna Castle is licensed for year round indoor weddings in a choice of five rooms. Couples can also choose to get married outdoors from May to September in the beautiful pavilion that overlooks St Ives. The groom’s party may even enjoy a round of golf before the event! 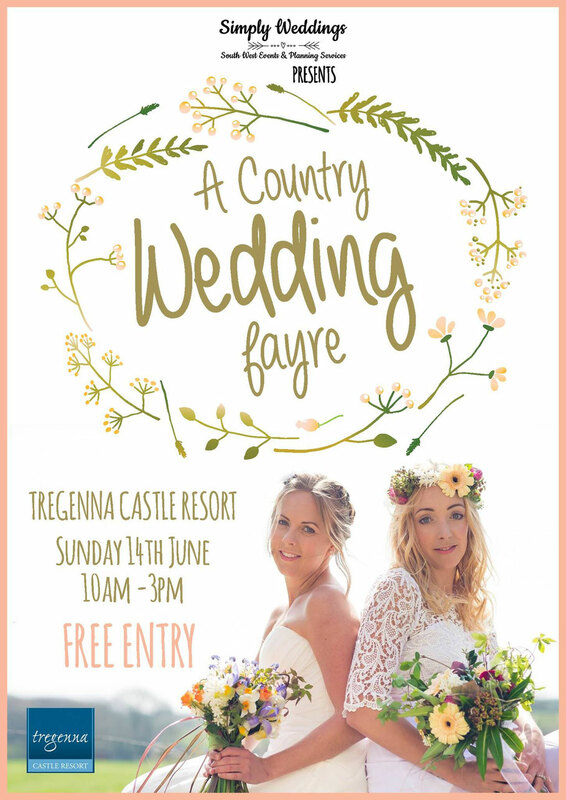 To use local suppliers is very important to us, and we have made a point to source local people to exhibit at Tregenna Castle. It just makes perfect sense! We have so many brilliant talented and lovely people here, we wanted to make sure you all knew about them. Please find following a list of supplier services who are attending, not all are listed, as we would like to keep a few a surprise!! Mother of the Bride accessories....and a few more, but you will have to come to find out! 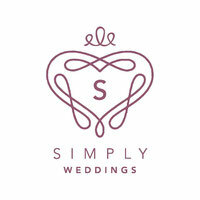 To say the least we have had a lot of fun planning this event, which is very much why and how Simply Weddings works. May this be the very first of many, many more! I was very happy to uncover this web site. I wanted to thank you for your time just for this wonderful read!! I definitely really liked every little bit of it and i also have you bookmarked to check out new things on your web site. Hi there, I believe your website may be having browser compatibility problems. Whenever I take a look at your website in Safari, it looks fine however when opening in Internet Explorer, it has some overlapping issues. I just wanted to give you a quick heads up! Besides that, wonderful blog! Hi, every time i used to check website posts here in the early hours in the morning, since i like to find out more and more. You are so interesting! I don't believe I've read through anything like that before. So good to find someone with a few genuine thoughts on this topic. Seriously.. thanks for starting this up. This web site is one thing that's needed on the web, someone with a little originality! Hello there, I do believe your website could be having browser compatibility problems. Whenever I look at your website in Safari, it looks fine however, if opening in Internet Explorer, it has some overlapping issues. I merely wanted to give you a quick heads up! Other than that, excellent website! I'm very happy to find this great site. I need to to thank you for your time for this particularly wonderful read!! I definitely appreciated every bit of it and i also have you bookmarked to look at new things on your blog.